On April 26th, Husthwaite Film Club will move to Friday Evenings. A decision not taken lightly, however it is a request we have had many times over the years and is supported by our regular members. When we have held Film Club on a Friday night, usually our "specials", it has proved to be a popular evening. We hope this works for as many as possible and makes it more accessible to those who have other weekday commitments. It's always hard to find a day/date that suits everyone but by request, we have made the decision to "give it a go". At Film Club we aim to show a mix of mainstream, independent and foreign language movies, some of which are less commercially available, to give our audience a different experience. Our Short Film Festival in July is a particular favourite, as are our Christmas specials where movie themed cocktails go down very well. Thank you to everyone who has supported Film Club for the last 6 years and we look forward to seeing you there in the future. 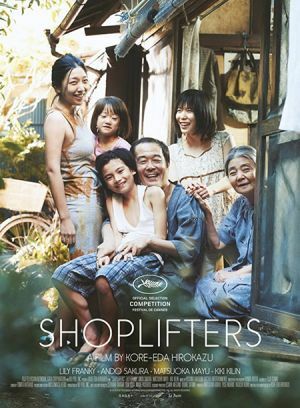 FRI 26th Apr "Shoplifters" A Japanese couple stuck with part-time jobs and hence inadequate incomes avail themselves of the fruits of shoplifting to make ends meet. FRI 24th May "Hidden Figures" The true story of a team of female African-American mathematicians who served a vital role in NASA during the early years of the U.S. space program.